Are LED Lights Good For Fish? LED Aquarium Lighting is critical to the health of your fish. 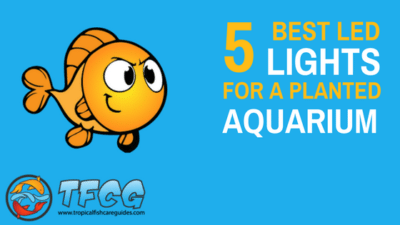 Even though fish are kept in an aquarium they need light and providing the right lighting in the proper amounts is a must. 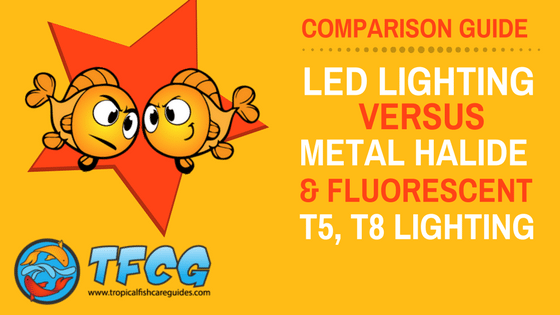 And, although there is some debate on which types of lights are good for fish. LED lighting is definitely a great option for fish and aquarium plants. On average most fish should be exposed to light for about 8-12 hours per day. So to ensure your fish have a consistent amount of light for the right amount of time, make sure you use a timer. A lot of the higher end LED lights come with a timer, but if you don’t have one a timer can be purchased separately. So why would you use LED Lighting over other types of aquarium lighting? 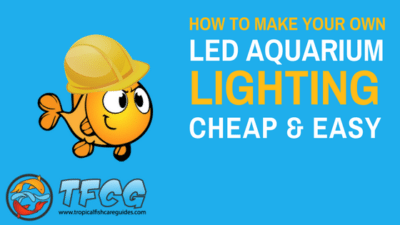 Although using LED lights in your aquarium has now been around for a number of years their legitimacy is still questioned. And no matter what side of the spectrum you’re on, here are just a few of the many benefits LED lights have to offer. 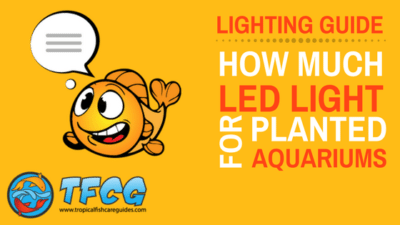 LED lights use very little power and as noted below last much longer than standard aquarium lighting options. This helps reduce the annual cost to run your aquarium. 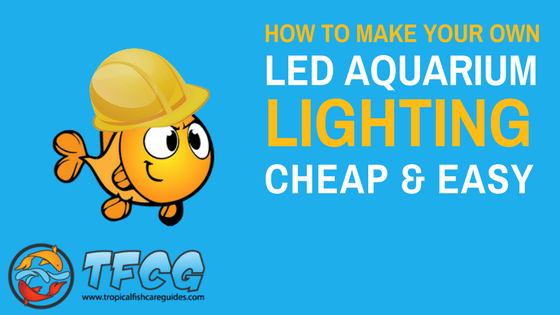 Save even more money an try making your own LED Aquarium Lights. LED aquarium lighting produces almost no heat which is much safer than say a fluorescent or incandescent fixture. LED “bulbs” can last much longer than other lighting types in your aquarium. Most LED lights can last between 30,000 to 50,000 hours. Because LED’s are so versatile there are many different colour options that can be applied and controlled with a remote. Colour options not only provide a cool effect they can also help provide a full lighting spectrum when used in a planted tank. Some higher-end models come with a remote that allows you to select different options, such as daylight, night light, and other effects. LED lighting systems can also easily be adjusted by adding or removing lights. Do You Have To Have a Light on a Fish Tank? Fish require periods of light, as well as periods of darkness and lighting provides a way for you to simulate this. In my opinion, in order to provide a healthy environment for you fish you need a light on a fish tank. However, to be 100% accurate the light that is placed on top of your tank is more for the plants in your tank or for viewing pleasure. As described in the video below you don’t actually need a light for your fish and they can likely get enough ambient light from the room they are in. Do Aquarium Fish Like Light? All fish need light, do all fish like light? Maybe some more than others. 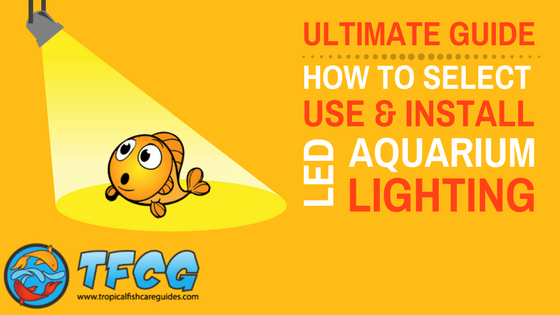 The trick is figuring out how much light your fish need. Before you purchase your fish determine what the lighting requirements are all the fish you will be keeping. If you plan on keeping multiple species be sure to keep fish with similar requirements. That said, most fish will need 8-12 hours of light each day to be happy. Do You Leave The Light on in a Fish Tank at Night? Just like you and me, fish need rest, and as fish keepers, we need to simulate day and night. That said some fish are nocturnal, like Plecostomus and appreciate some privacy at night. So turn the light off already. However, should your aquariums be completely black? Some experts like AquariumCoOp believe a simple tip can keep your fish from darting into the side of your aquarium when you turn the light on and off each day. How Long Should my Aquarium Lights be on? Easy question, Typically most fish need 8-12 hours of light to be happy. Well, unless you have an algae bloom, bacterial bloom or maybe you have nocturnal fish. Okay, so really each tank is specific and you need to consider the types of fish and plants in your aquarium. Here’s a great video that goes into more detail from Everyday Aquarist. How Long do LED Aquarium Lights Last? As with most things it varies. But most high quality LED aquarium lights will last between 30,000 to 50,000 hours. LED Aquarium Lighting and Live Plants – Will They Work? If you recently purchased a new aquarium kit it’s very likely that it came with a LED light fixture. And if you’re thinking of keeping live plants you may be wondering if LED light can support live plants at all? To be honest, it really depends, LED lights can work well with plants but it’s more about the colour range than anything else. If the LED can emit around 6000-k6500k range your plants will be fine. The Finnex Planted Plus and the Current USA LED lights are two examples of LED that will support live plants. Most aquarium kits that come with a LED are likely not near this range. However, there are many examples these “kit” LED lights growing low light plants. Do Feshwater Aquatic Plants Need Sunlight – Do LED Lights Work For Aquarium Plants? Live plants can be kept as there is plenty of light. But does it need to be sunlight? In fact, most low/mid light plants can be kept healthy with higher end LED lighting fixture like the Finnex Fugeray. That said, in general, it’s always a good rule to “Not” place your aquarium near any direct sunlight. Doing so can present issues with temperature control as well as algae. How Man Lumens do Aquarium Plants Need? This is a very large topic and Tropica.com covers it well with their article on choosing the right light source for your needs. Can Any LED be Used as a Grow Light? No, not all LED lights are created equal. That said many LED lights are made specifically as grow lights and many people have had great success. 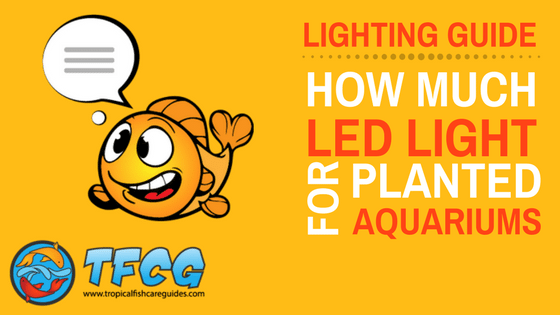 Read: LED lighting for a planted aquarium. What Are The Easiest Aquairum Plants to Grow? You can see more easy to grow plants here. 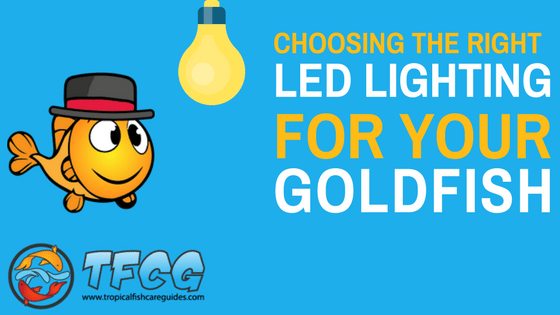 Be sure to check out some of these posts below where we go over exactly how to select the right LED lights for your tank, fish, plants and explain when and how to use LED lights to maximize their benefits. 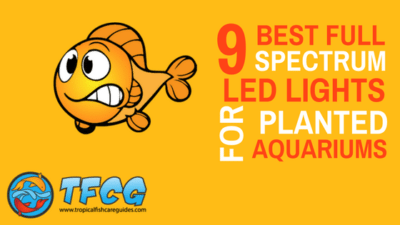 Below the posts you will find a quick guide to some of the Best Rated Aquarium LED lights available. 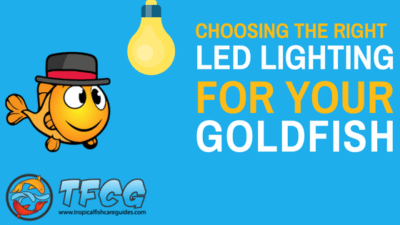 We hope this information will help you find the right LED lights for your aquarium. Comments Off on LED Aquarium Lighting: How Much LED Light For A Planted Aquarium?